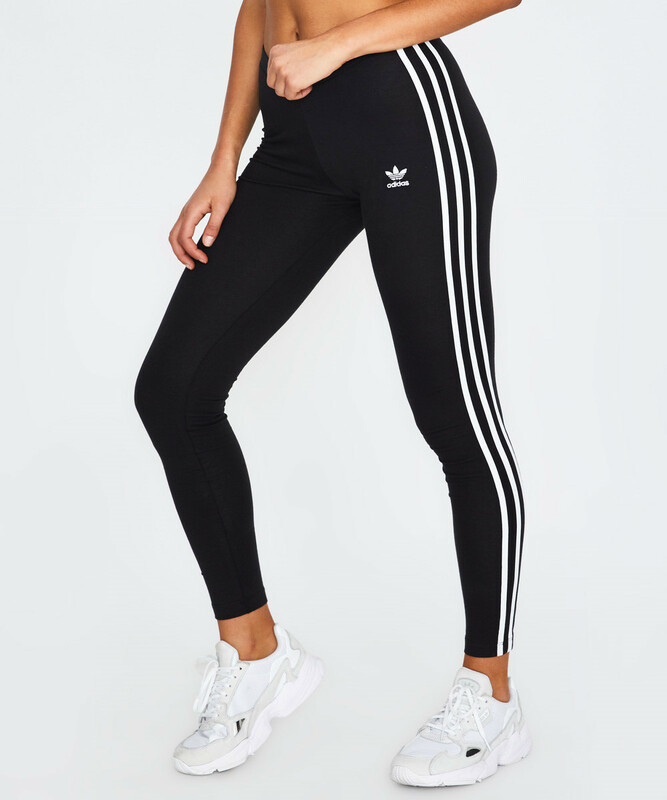 The 3 STR Tights by Adidas are made in a super-comfortable stretch fabric, allowing a full range of movement. 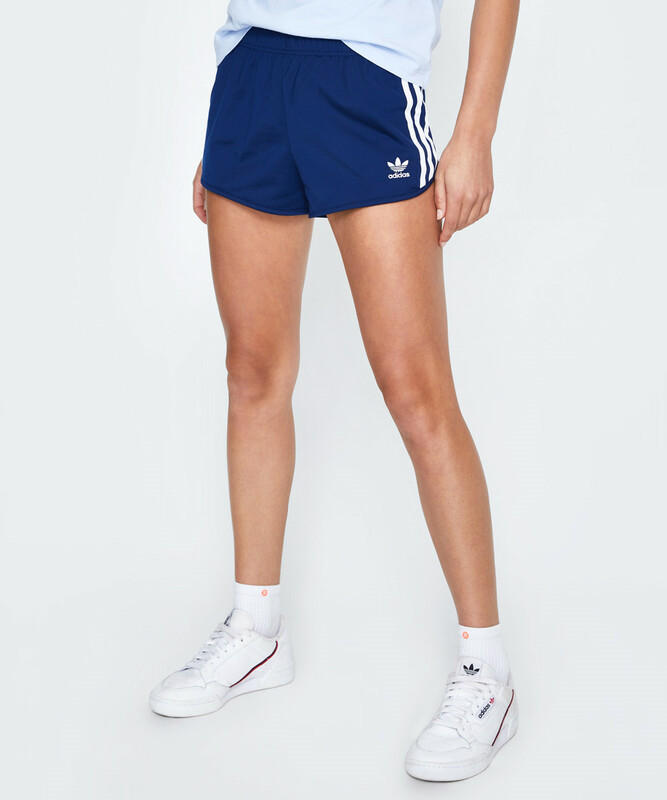 These activewear bottoms features contrast white Adidas branding at the thigh and down the sides. 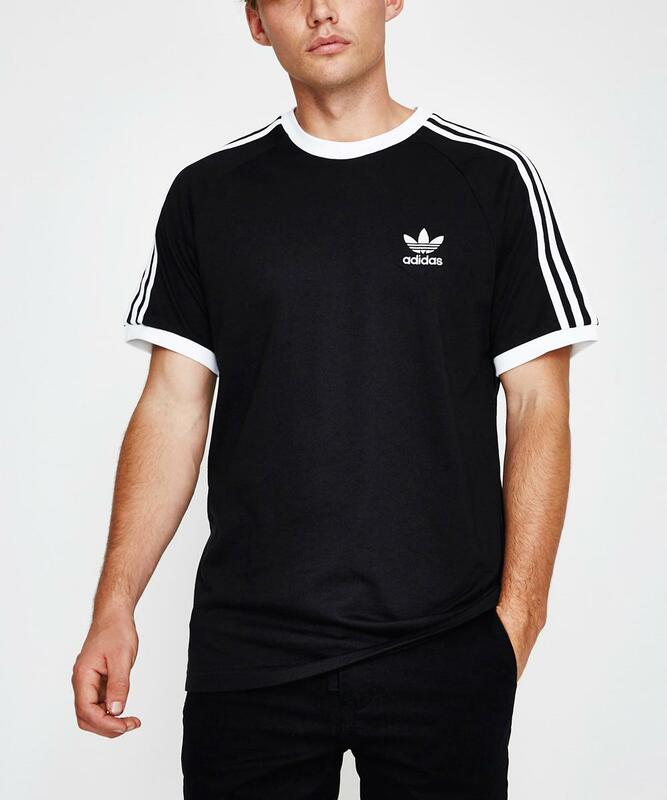 The 3 Stripe T-Shirt by Adidas is a crew neck t-shirt in a black colour way with contrast branding. 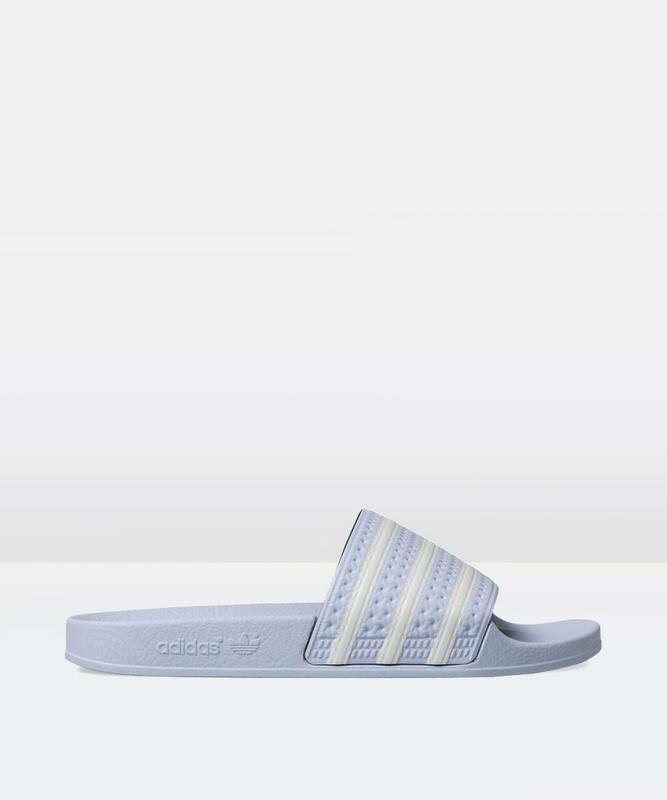 It features the Adidas logo on the left chest, three white stripes along the sleeves and contrast white ribbed neck and sleeves. 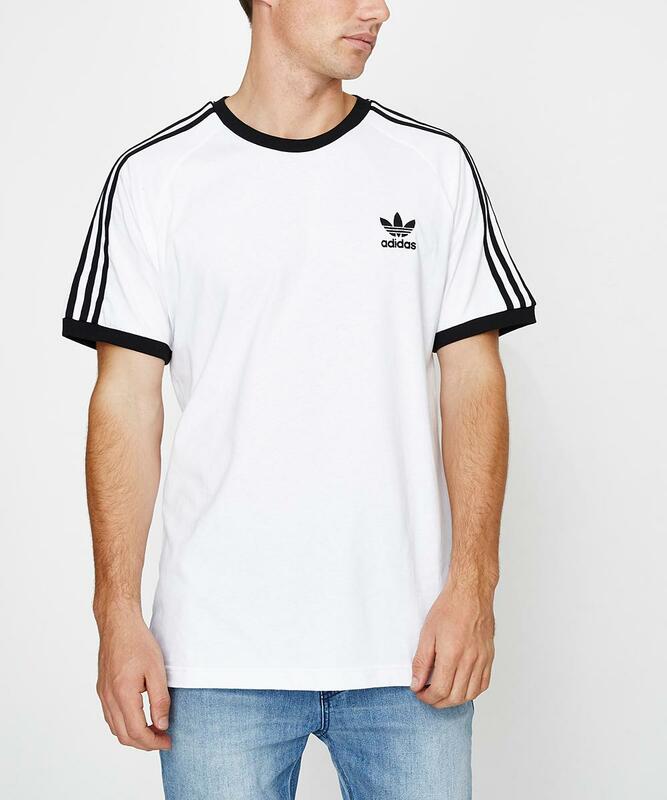 The 3-Stripes Short Sleeve T-shirt by Adidas is a short sleeve tee in a soft, super-comfortable 100% cotton fabrication. 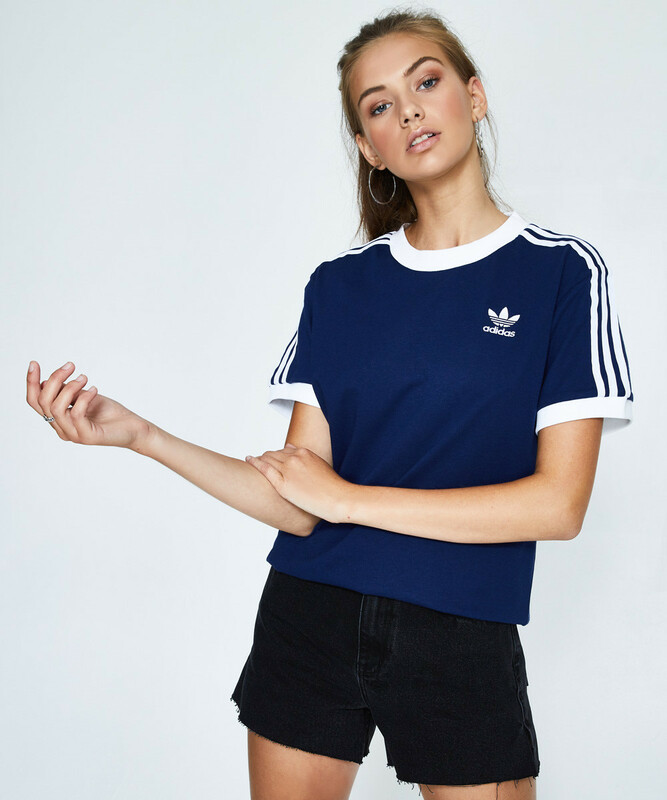 This style features a crew neckline, contrast raglan sleeves, trefoil logo at the front, and three-stripe branding down the arms. 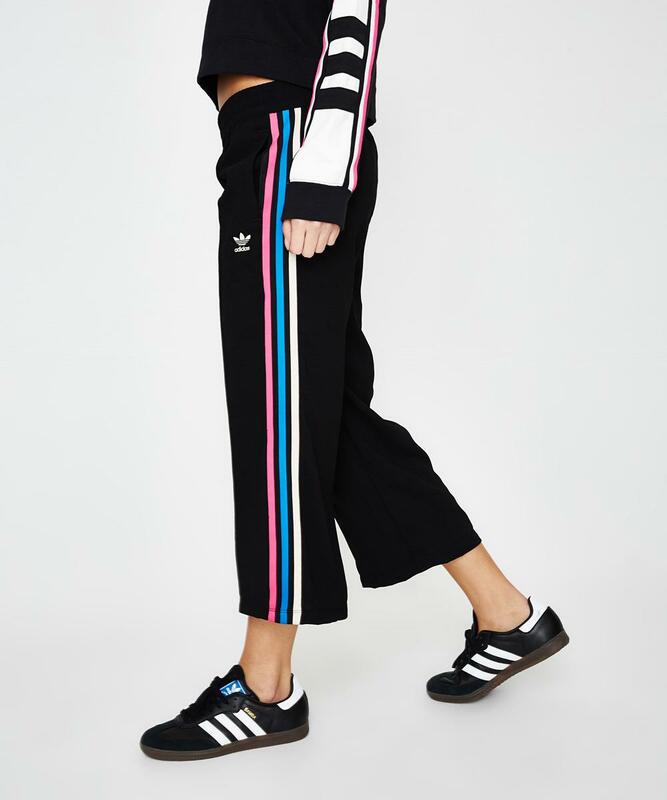 The 7/8 Trackpant by Adidas is inspired by 90s motocross racing with tricolour stripes down each leg. 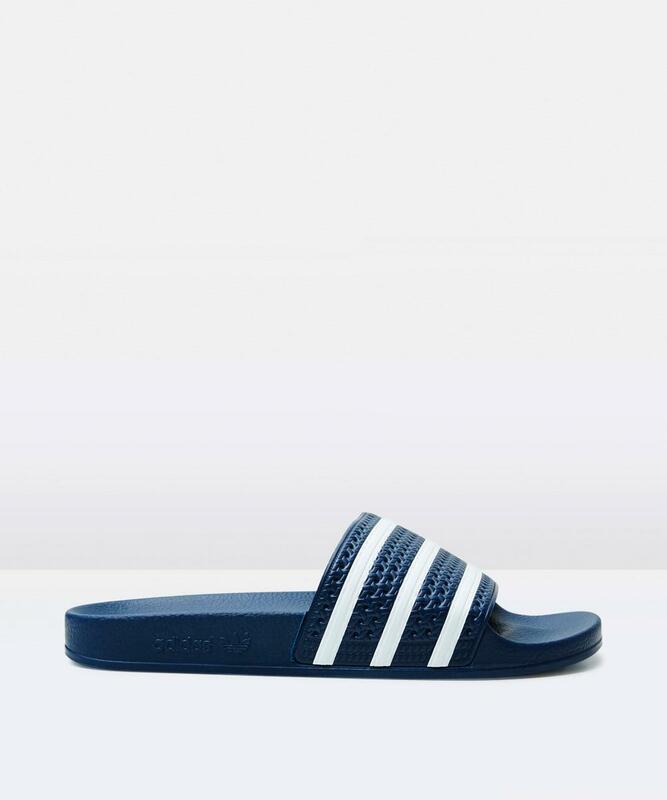 This style features a low rise, relaxed fit, cropped length and are made of crepe fabric. 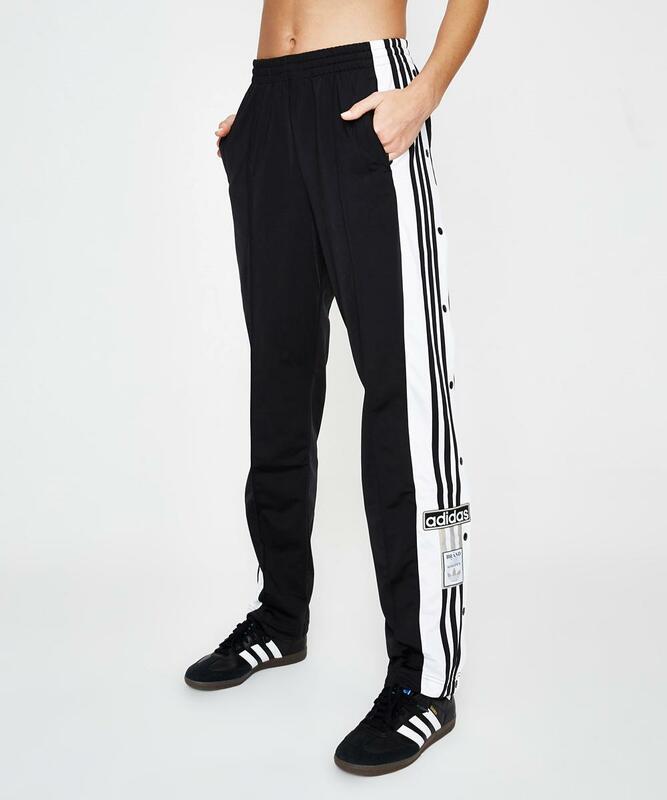 The Adi Break Pant by Adidas are a modern take on the iconic 90s trackpant with collegiate-style colours and snap-button closures. 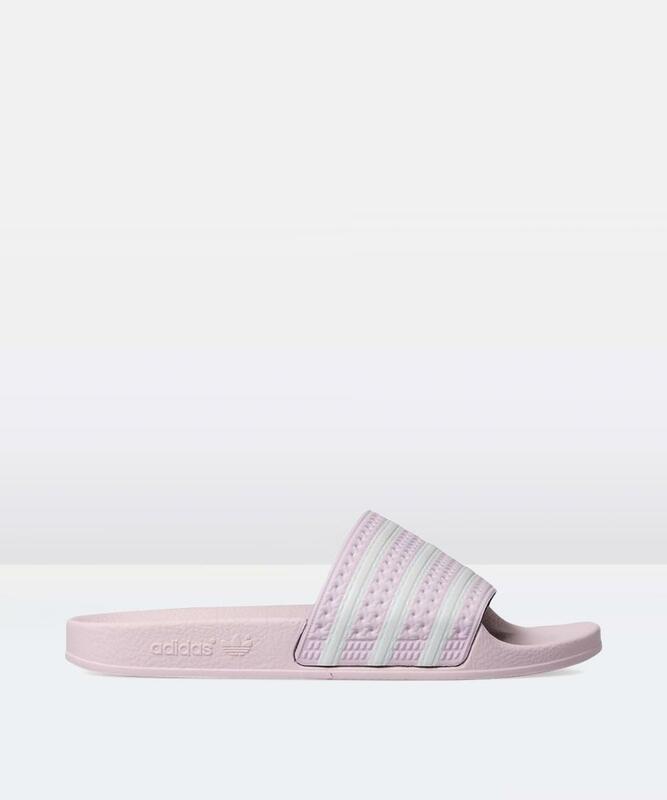 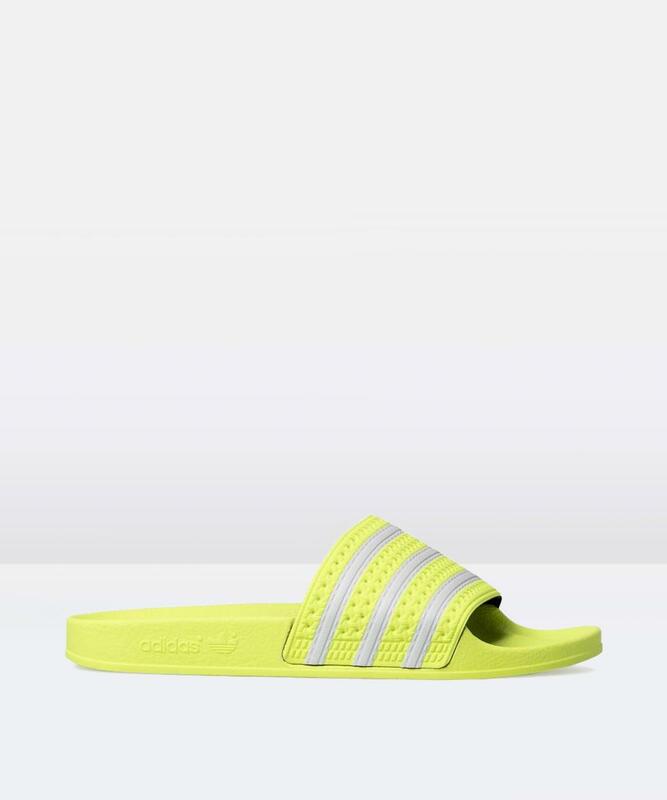 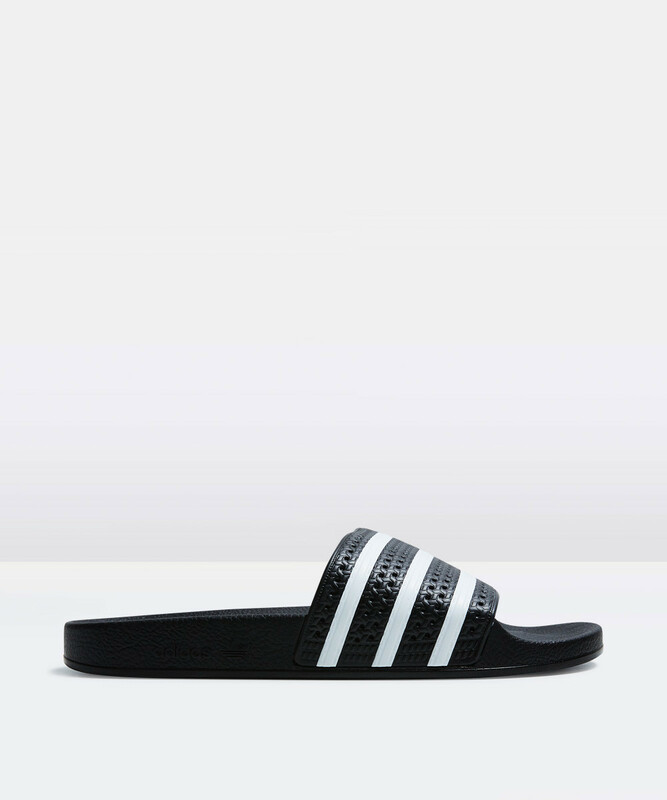 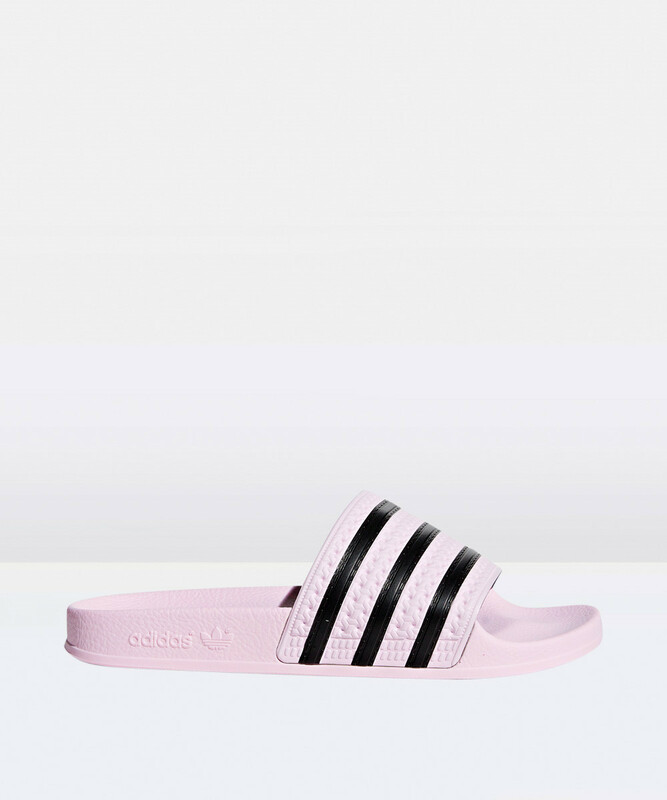 They feature an elasticated waistband, 3-stripes down each leg, signature label and a relaxed fit. 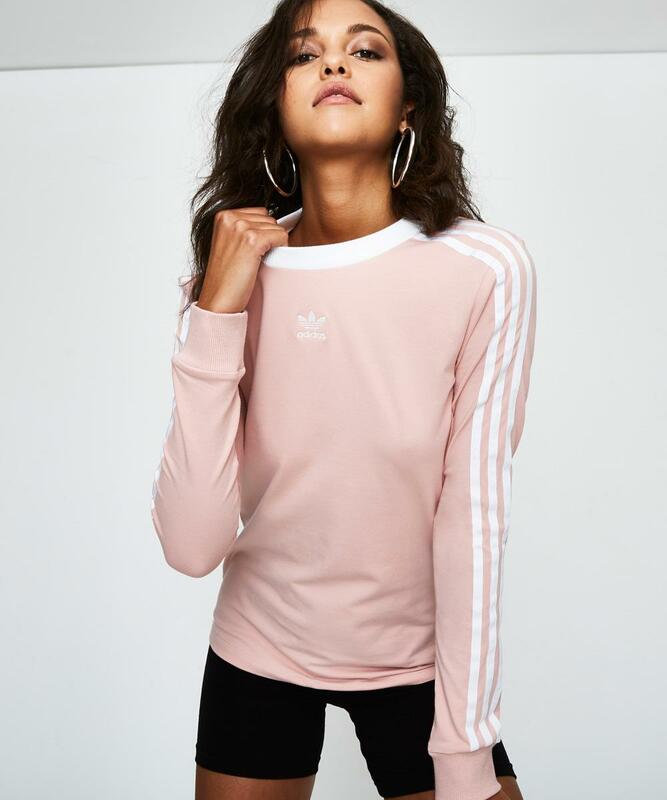 The Cropped Hoodie by Adidas is a crop-length hooded sweatshirt in a pale purple colour way. 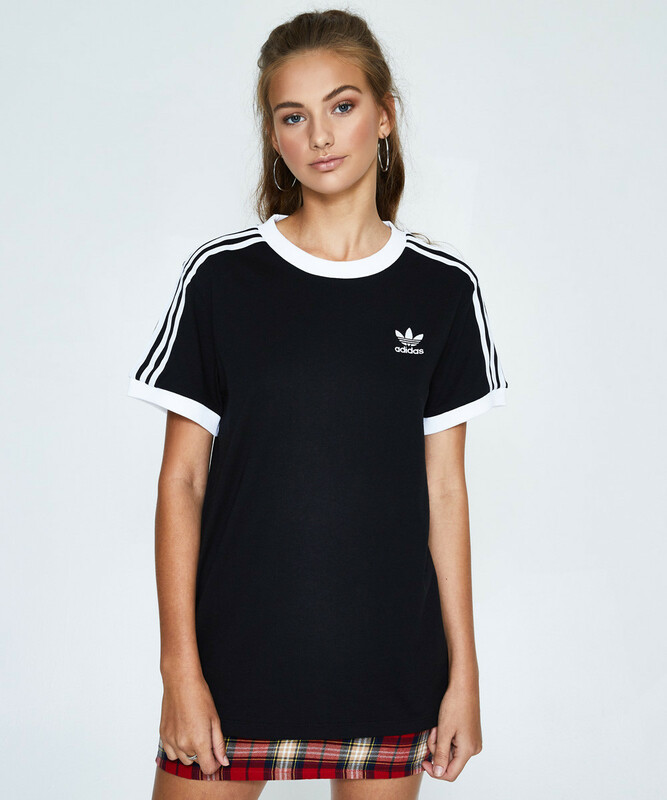 This relaxed-fitting style features tonal Adidas logo across the chest. 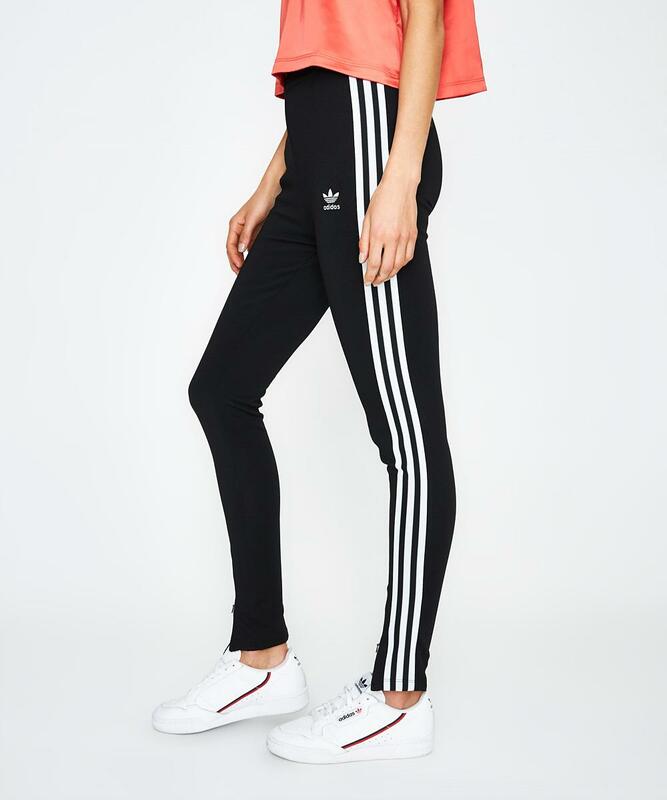 The Adidas Pant by Adidas are high waisted, slim fitting trackpants with signature three stripe detail down the seam of each leg. 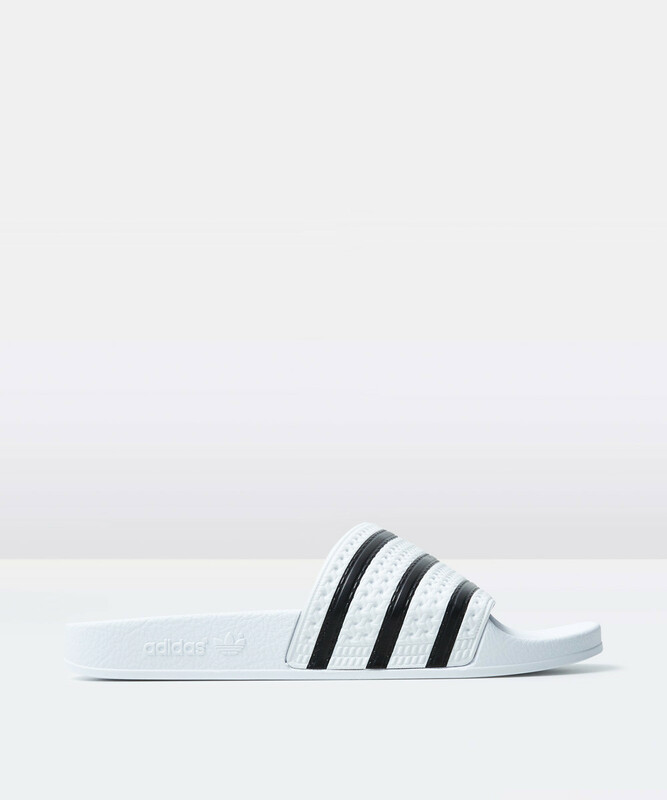 This style features a high rise, subtle pintucks down the front, and ankle zips. 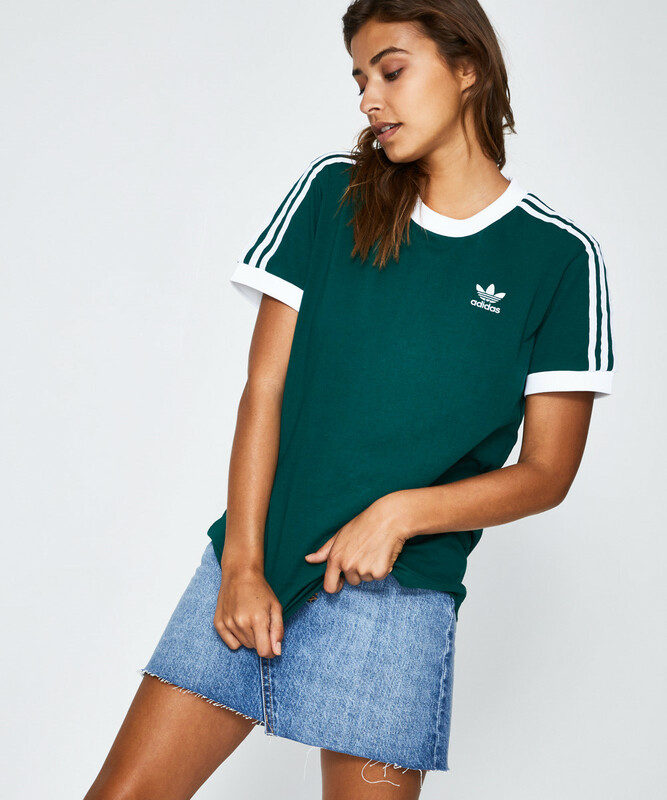 The Adidas Track Top by Adidas is in a stretch cotton blend fabric in a vibrant green colour way with pinstripe finish, and is designed with three-stripe pattern down the sleeves, ribbed cuffs and hem, and trefoil logo at the chest in contrast white.